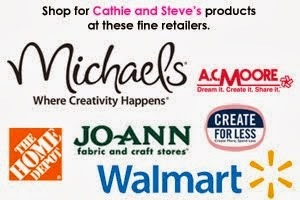 Rubber or plastic toys, stuffed animals, knick knacks, etc. 1. Wash the jars and lids thoroughly. 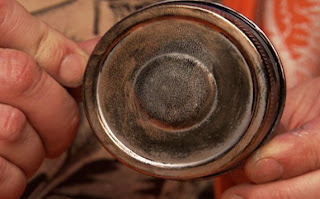 Spray paint the lids and, once dry, apply wax metallic finishes to them for an aged look. 2. Fill a measuring cup with water. Add a drop of food coloring and stir. Add more food coloring or more water to get the intensity of color that you want. 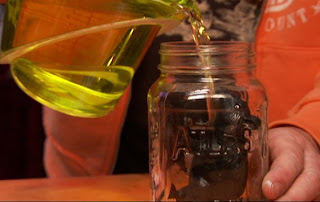 Place a toy or knick-knack into the jar and fill the jar with water. Screw the lid on tightly. 3. 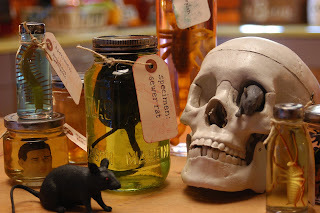 Using the tags, write out a label for each jar. To antique the tags, gently pat or rub them on an ink pad. Tie the labels onto the jars with twine. Great ideas! I just uploaded a ton of labels to my Flickr stream as well. We are having a Mad Scientist theme for our Halloween party this year. 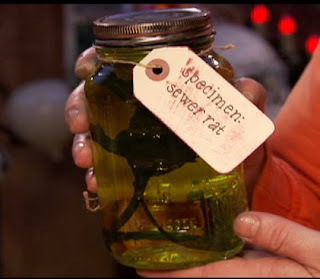 I love the idea if making a "sewer rat" specimen jar. Don't have that one yet! Thanks for the great idea! I, too, am doing a Frankenstein/Mad Scientist (Igor's Lab) theme this year for Halloween. These are some great ideas! Thanks for the inspiration!